The trained, certified professionals at Serenity Home Care are ready to provide your senior loved one with the in-home care they need to maintain an independent life at home. In general, the older we get, the more help we may need, and your senior loved one can receive just the right level of personal care services they wish. Our caregivers can help your senior loved one prepare for the arrival of friends and family. Whether it involves grocery shopping, meal preparation or making the house look neat and tidy, our compassionate caregivers get the job done. This helps ensure family can concentrate on spending time with seniors without anyone having to worry about preparing a meal or cleaning the house. At Serenity Home Care, our professional, certified staff works hard to provide personal care services for seniors with as much dignity as possible. Quality of life for your senior loved one is as important to us as it is to you. If you’re concerned about a senior relative because they’re having difficulty taking care of themselves, maintaining a medication schedule or preparing meals, consider our compassionate, professional in-home care services. We offer affordable, customizable care plans to suit the specific individual needs of each client. We also provide professional care oversight and advocacy to ensure each client’s needs are being met. Our personal care services keep your senior loved one independent and safe in their own home. 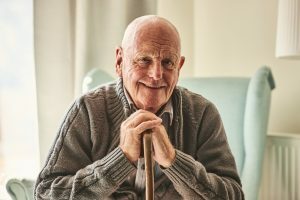 Stop by our Beaverton, Oregon, location on 12725 SWMillikan Way, Suite 300, or give us a call at 503-520-9400 to find out how we can help your senior loved one live an independent life.